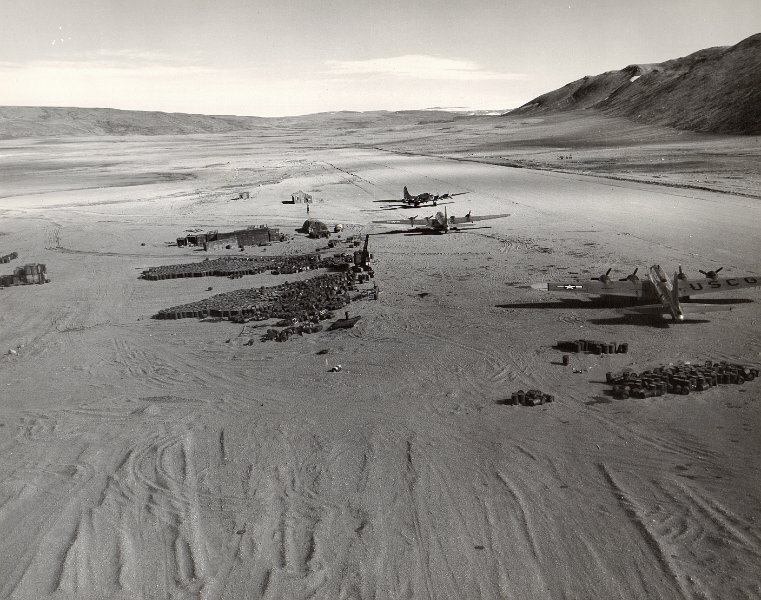 7/28/48: Air strip at Thule, Greenland. Prevailing winds keep this air strip free of snow during winter. Greenland's permanent ice caps can be seen in background. Road near second plane connects air strip with U. S. weather station, (off picture to left).